Future ready students: Adaptable, networked and able to reinvent themselves. The last three decades have seen young people’s worlds change dramatically. Digital technologies have enhanced their capacity to access information, learning has increasingly become de-institutionalised and automation and offshoring have resulted in uncertain professional futures. CEDA’s widely reported figures forecast that up to 40–60% of today’s Australian jobs are likely to be replaced in 10–15 years and for Generation Z 17 jobs and 5 careers could well be the norm. The tension between these new realities and an education system which still reinforces the traditional limits of curriculum and exams have seen repeated calls for a revolution in how we educate young people. However, whilst the prospect of education innovation has been extremely exciting, changes to education have generally been ‘more of the same’ and disappointment has been expressed in how little change has come about in the way we learn. 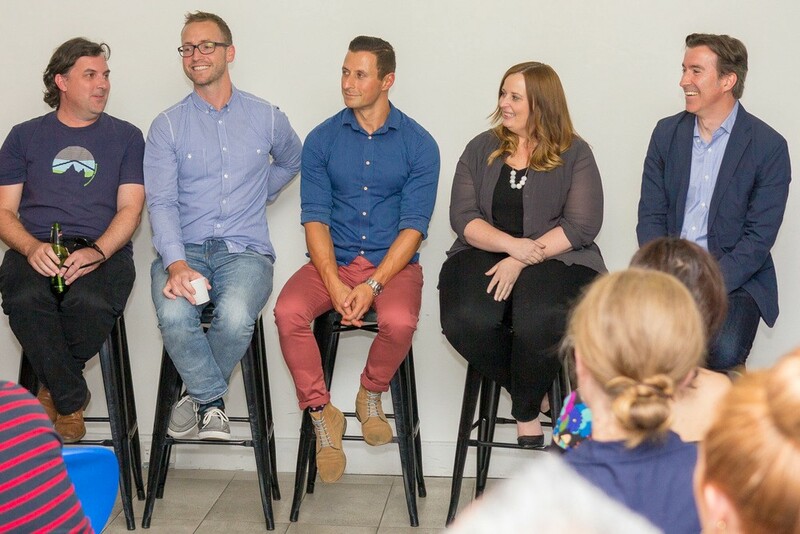 To discuss this complex landscape, Stile and innovation school Collective Campus brought together some of Melbourne’s most interesting educators to host the panel discussion: Getting Students Future Ready: Does the K-12 Classroom as we know it make the grade? Bec Spink, co-founder of Code the Future, the not-for-profit teaching children how to code. Steve Glaveski, co-founder of Collective Campus and entrepreneurship for kids school, Lemonade Stand. What emerged from the evening was a vibrant discussion that challenged the idea of it means to be educated, questioned the traditional boundaries between schools and the wider community and also emphasised the power of networks and teacher driven change. What does is it mean to be educated? Traditionally students have aimed to achieve high grades and emerge from the education system with credentials. However, in a world where it’s harder to picture the future than ever before, it’s increasingly a person’s ability to embrace change, adapt and reinvent themselves that will be essential for navigating the future. Steve Brophy reflected on this as both a father and an educator, noting that he wanted his daughter to go through the education system and emerge as she entered, with her ‘tremendous drive, capacity to problem solve, to question, energy, spark, thirst for learning’ intact. He mused that, “we need to reverse-engineer schools so that they come out as 5-year-olds”. Steve Glaveski touched on the importance of developing a T-shaped person, a person who has deep knowledge in one area but has has basic literacy and knowledge in a broad range of areas. T-shaped people learn by linking and connecting different perspectives from different specialties and were favoured by McKinsey & Company when hiring consultants for their ability to foster connections that bring great ideas to the surface. At a senior school level though, teachers find it particularly difficult to get away from focusing on metrics and test results due to the realities of tertiary entrance testing. “The VCE kills them!” bemoaned an audience member. It doesn’t help that scrutiny of senior school outcomes has intensified over the last few decades. Increased reporting of tertiary entrance examination results and the ‘backwash’ effect of competition amongst students to enter high-demand courses at university has placed greater pressure on schools to produce highly visible and marketable senior school outcomes. Whilst it’s recognised that the secondary-tertiary interface needs reform, there was resignation amongst the panel that ‘that’s the game we have to play’ and realistically, reform would not likely be coming anytime soon resulting in an ‘age of confusion’. In the digital age it is hard to argue that learning is simply restricted to 60 minutes sessions at school where the teachers are the sole gatekeepers of knowledge. Students are engaging with an array of activities and informal learning opportunities outside of the classroom and schools need to see them as part of a students’ education as well as great opportunities to engage and teach. Schools shouldn’t discount the value of their own networks, particularly their school community, a potentially valuable source of relevant learning experiences. “We need to start to reach out more into the community and learn and find what’s going on,” encouraged Hamish. To highlight this, he used the example of a parent, who was surprised that her child was engaging with design thinking at school, as it was what she was currently doing at her work. For him, having someone like this in the school community presents an opportunity to bring in the ‘real world’ so that students can see the application and relevance of what they’re teachers are doing at school. “[We] as pedagogues need to start being braver,” stated Richard. “[Teachers] should start saying what do we know as professionals? What do we know as pedagogues about learning?” He encouraged teachers not to be afraid to talk about learning and to engage with activities such as design thinking, coding and entrepreneurship which try to do more than just ‘tick off a whole bunch of outcomes’. Educators need to trust their expertise because they know why what they’re doing in the classroom is valuable and what they’re trying to achieve is more than just a reflection of the curriculum and outcomes. Others noted that the practice of leaving parents at the door needs to change. Letting parents in through purposeful involvement, not just one-off exhibitions and presentation days, and having them be a part of what their children are doing in school can be a powerful way for schools to show the value of any change that they roll out. Bec in particular, spoke of the success she’s had in inviting parents to not just observe classes but actually join in and work alongside the children during coding classes. Hamish went even further to suggest he would like to see parents brought into schools and be involved with assessment. From his experience, he’s found this to be particularly valuable and parents left with a better appreciation of what is happening at schools. Such a drastic change, however, needs to be done with a ‘slow bleed’ approach, by starting small and working on ways to get parents involved so that their comments matter and students get feedback from more of a ‘real world’ audience. One great resource that an audience member directed everyone to was the documentary ‘Most Likely to Succeed’ which is about 21st century education reform at American schools. Her school had screened this documentary to their school community and found it a great way to show parents why change needs to happen. To date, the general attitude of educators and policy makers towards social media has been to ban or limit young people from engaging with it for fear that it will negatively impact learning. Despite these efforts, children seem to be engaging with social media at a young age anyway, so increasingly the conversation has shifted to be one of providing students with the skills to navigate social media in a healthy and responsible manner and make them better social networkers. Technology is also present in the classroom in the form of educational technology. Teachers are now spending significant portions of class time using technology for instruction and a majority of teachers recognise the importance of integrating technology in their classrooms. 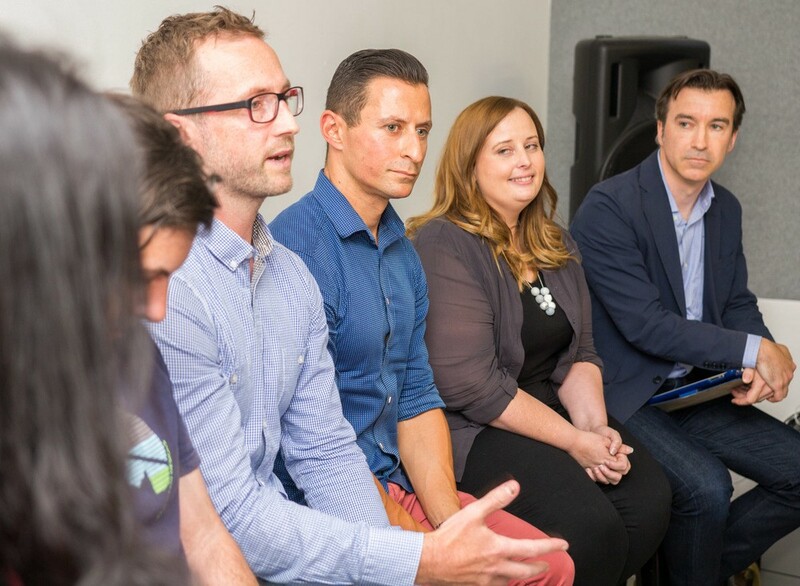 The educational technology industry has also grown significantly in the past few years with recent figures indicating that investment in edtech soared to record figures in 2015. For change to happen, it was emphasised that greater trust had to be placed in teacher expertise so that they can be empowered as agents of change. Steve Brophy also considered himself to be at a school which was ‘the right fit’ and has been given room, support and time to grow. He spoke of the trust that had been placed in him by his school’s leadership and how it had bred a team where, “reciprocal trust really empowers people…they allow me to be me, understanding that I bring pros and cons.” For teachers wanting to bring change, they have to find schools that are ‘the right fit’ and if they’re not at these kinds of places, it may be time to move somewhere that gives you the room to grow as a professional. We’d love to hear more about your thoughts on the topics brought up by the discussion, as well as your own experiences preparing students to be future ready, so please comment below!